Update: The Hollywood Reporter confirmed with sources in February 2019 that the movie is indeed a Jesse-focused sequel, and will likely hit Netflix before airing on AMC. 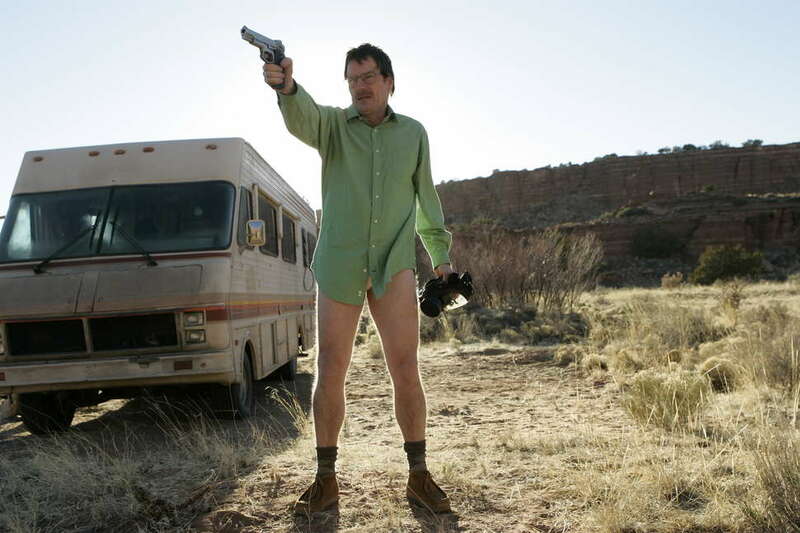 Original post: The Breaking Bad universe has proved a fruitful one. Not only did it -- of course -- produce one of the most lauded television series of all time, but creator Vince Gilligan managed to generate a second beloved TV drama in Better Call Saul. And Gilligan is not done yet. According to The Hollywood Reporter, he's churning away at a movie tied in some way to the story of Walter White and his meth business. How is it connected? We really don't know at this point. In fact, very, very, very little is known about the film, which is apparently being called Greenbrier among people in the industry. The sparse plot details we have are that it's about "escape of a kidnapped man and his quest for freedom." But, frankly, at this point it's super unclear whether or not this is even what Gilligan wants to do. Maybe he's generating some sort of connective tissue between Saul and Breaking Bad? Who is to say? We don't even know if this movie is going to air on television, some streaming platform, or head to theaters -- though we do know that AMC is breaking into cinematic universes with three upcoming The Walking Dead movies. Still, whatever this movie ends up being, it's probably not a great idea to bet against Gilligan at this point, who has a lot of stories about New Mexico cooking in his brain.